Bomb cyclone? What??? Having grown up in Michigan, I'm always skeptical when the weather forecasters get really excited about a snowstorm in NJ. Not that we haven't had our share of large snowfalls, just that many times the outcome is substantially less than the hype. I'm even more suspicious when they start throwing around phrases like "bomb cyclone." So when I went out to my studio early in the morning yesterday, I wore my slippers. I had some drawing to do and wanted to be comfortable. My studio door is 20 feet from the back door of my house and I can make it from one heated structure to the other without even feeling a chill if I walk fast. Slippers are a fine choice unless there is an actual BOMB CYCLONE, at which point, after 4 hours, the walk back to the house involves snow far deeper than my slippers care to navigate. 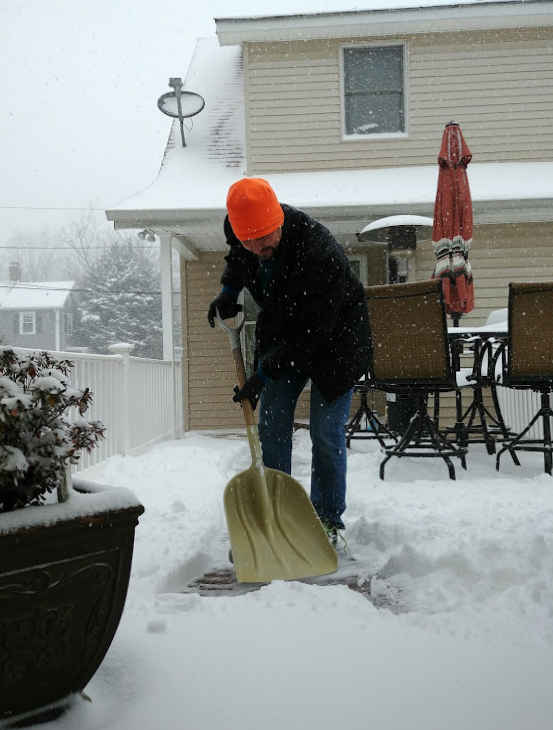 I sent up a distress call and my husband shoveled a path out to me. From that point on, I put on some actual shoes when I shoveled back and forth throughout the day. Hope you all stay warm and dry and your path to and from work (or where ever you need to go) is clear and safe!